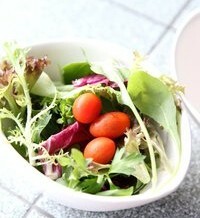 A good diet can help to prevent cancer, and even help you to overcome the disease, right? Bad foods cause cancer, right? Bad lifestyle habits like alcohol drinking, lack of exercise and being overweight increase cancer risk, right? These sound like common and commonsensical knowledge, which you would think the majority of people would be aware of. Apparently not, it seems, as highlighted in the following article. Eat more fresh fruits and vegetables and you are lowering your risk of cancer; consume more processed meats like sausages and bacon and you are raising your chances of getting the disease; exercise regularly and maintain healthy weight and you reduce your risk of malignancy – one would think these are common-sense bits of information which almost everyone “knows” about. Yet, a recent survey in Britain has revealed that reality is quite different, with a worrying proportion of the population oblivious to these basic facts. The said survey was conducted in Jan 2009 and had been commissioned by the World Cancer Research Fund (WCRF). It involved 1,986 adults, who were asked about various risk factors for cancer. The exercise found that 41% of those surveyed were not aware that consuming a poor diet can elevate cancer risk. In late 2007, a WCRF report had revealed that a 150g intake of processed meats each day can raise colon cancer risk by about 63%; all it takes to hit this amount is about two sausages and three rashers of bacon. However, the survey found that about 70% were not aware of this link between processed meat and cancer. Further, 44% of those surveyed were not aware that being overweight also increases cancer risk, while 58% were not aware that lack of exercise is another risk booster. “The scientific evidence is clear that people can reduce their risk of cancer through eating healthily and reducing their intake of things like alcohol and processed meat. But these results show that there are still millions of people in Britain who are unaware of how they can take simple steps to reduce their cancer risk. This means they are not in a position to make informed lifestyle choices,” said Lisa Cooney, the head of education at the WCRF. These statistics are alarming because of two main reasons. Firstly, factors such as being overweight, poor diet and lack of exercise are huge risk raisers not just for cancer, but also for a host of other dangerous diseases.